Shared toilets are often dirty and poorly maintained: but for some slum-dwellers living in tiny dwellings, they’re the only option. So what are the requirements for high-quality shared sanitation? 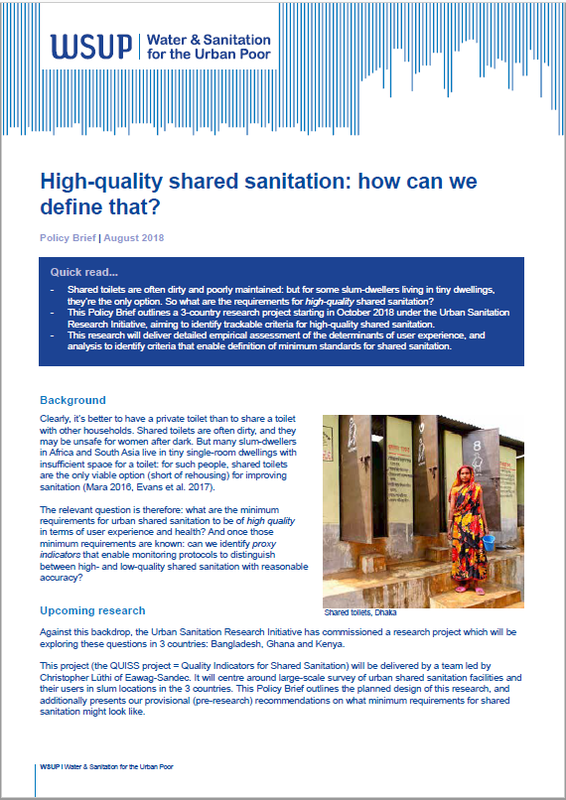 This Policy Brief outlines a 3-country research project starting in October 2018 under the Urban Sanitation Research Initiative, aiming to identify trackable criteria for high-quality shared sanitation. This research will deliver detailed empirical assessment of the determinants of user experience, and analysis to identify criteria that enable definition of minimum standards for shared sanitation.